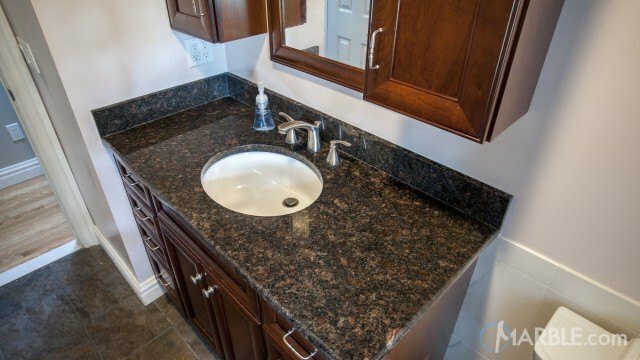 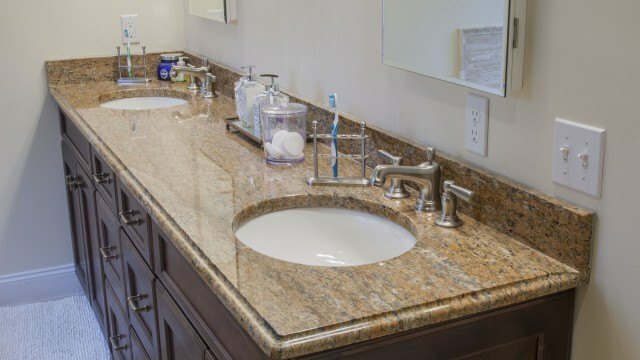 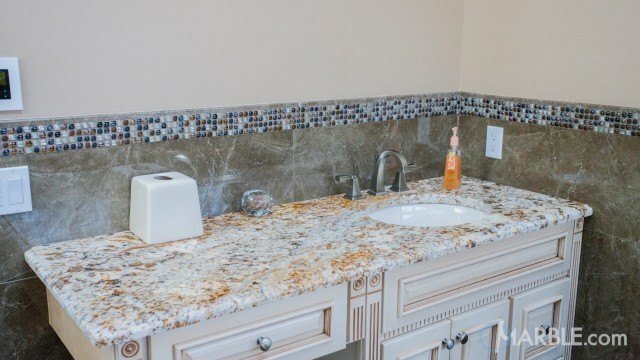 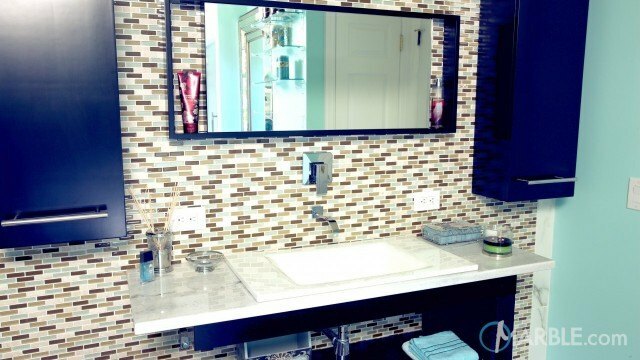 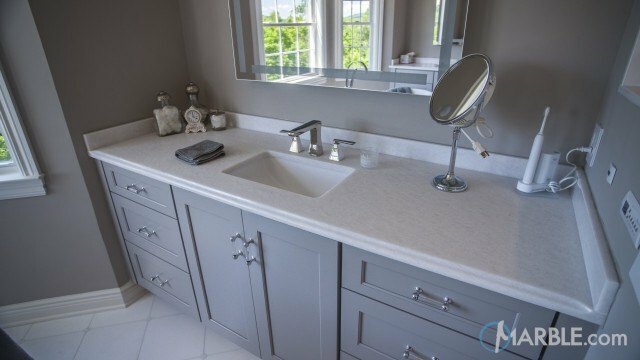 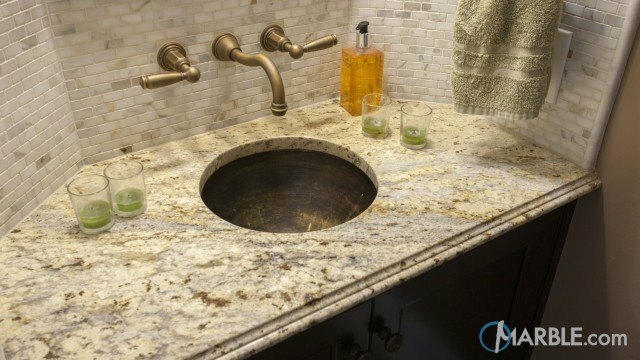 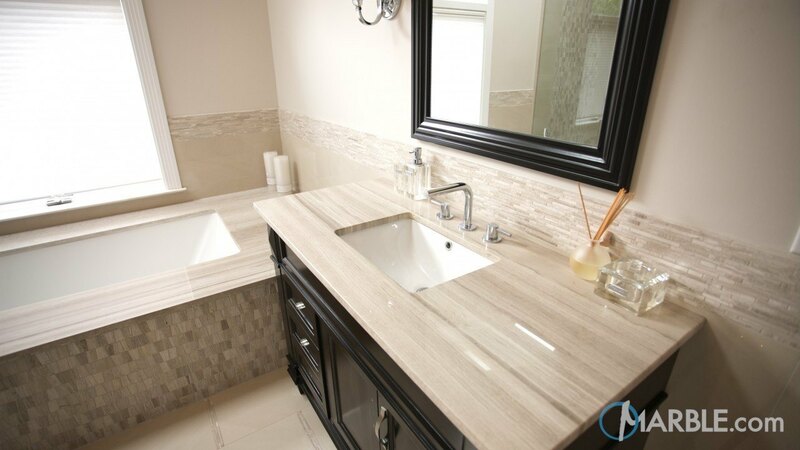 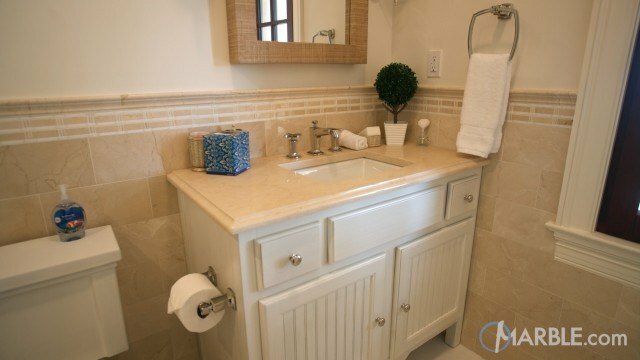 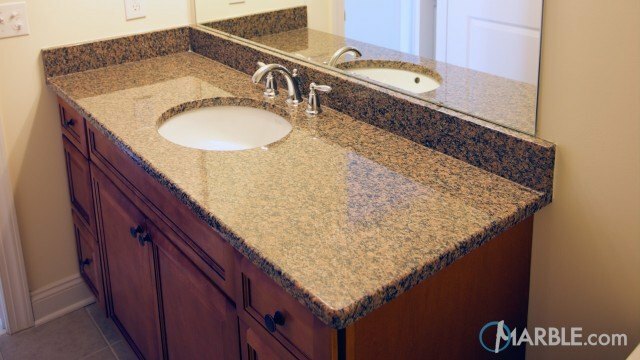 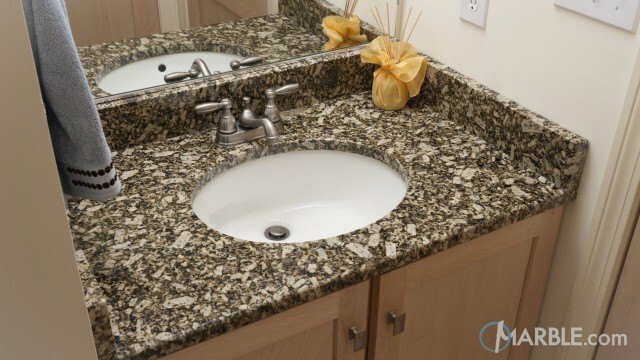 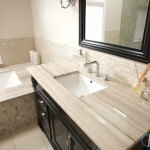 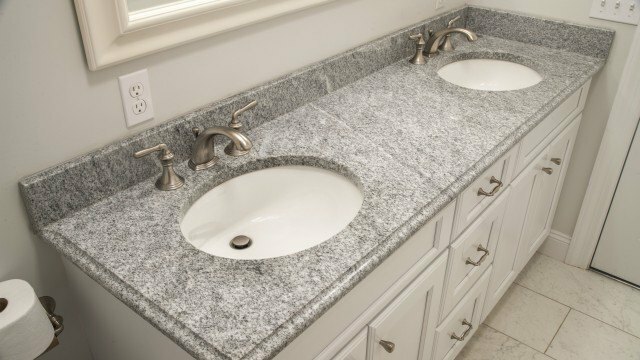 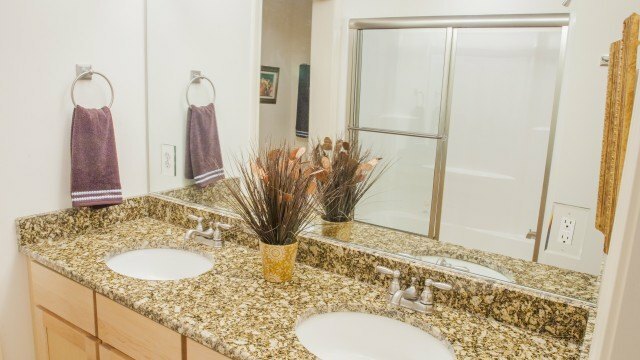 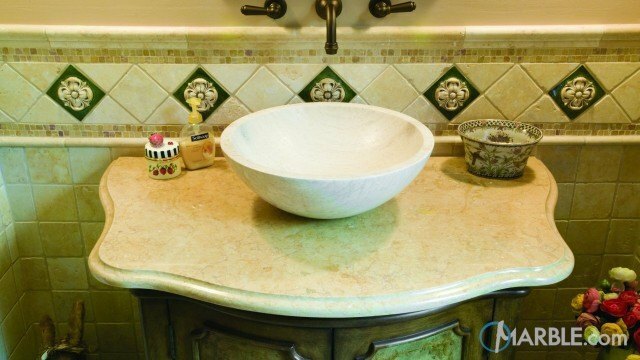 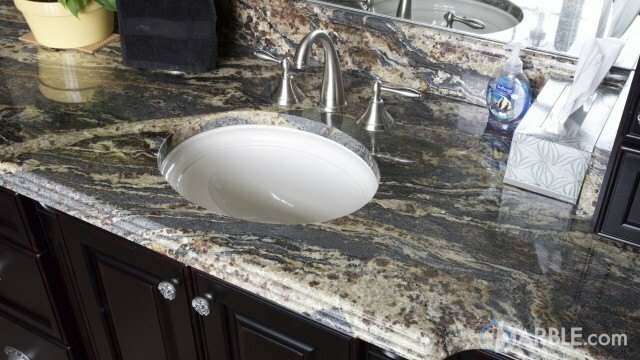 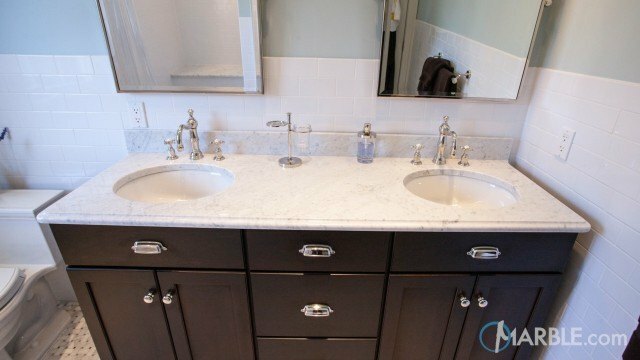 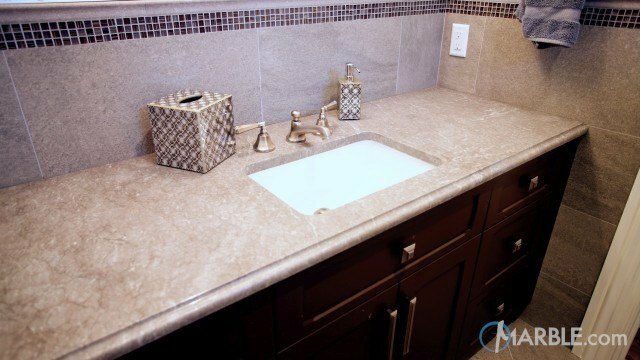 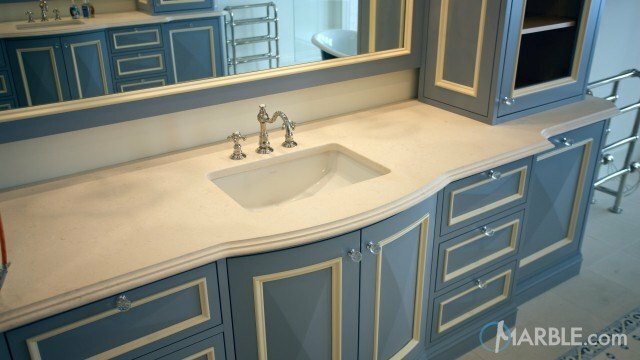 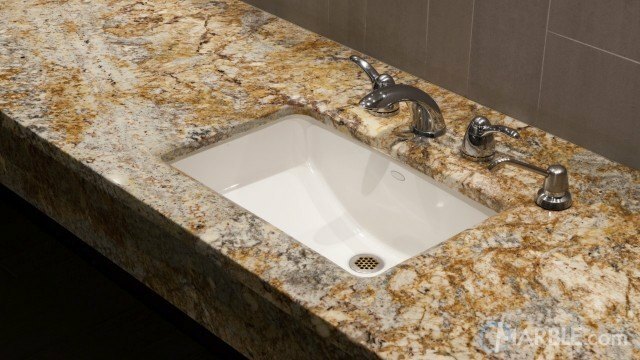 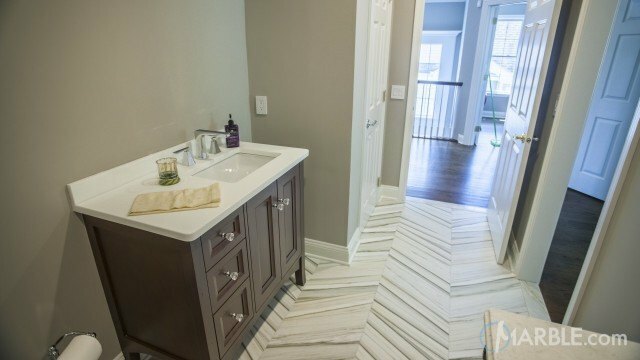 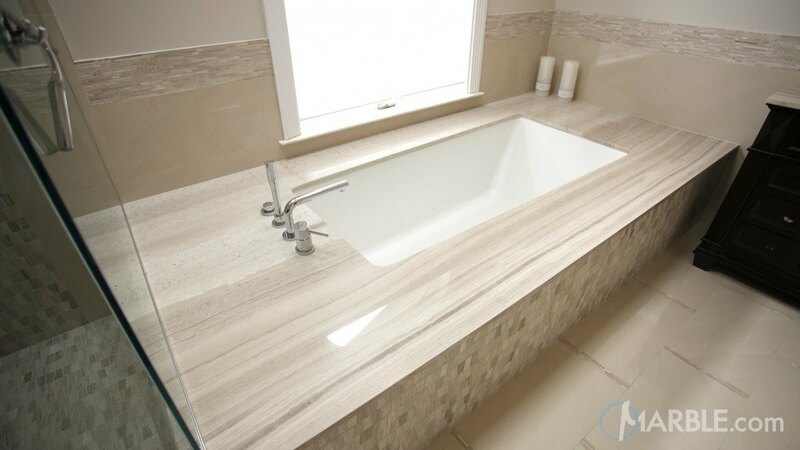 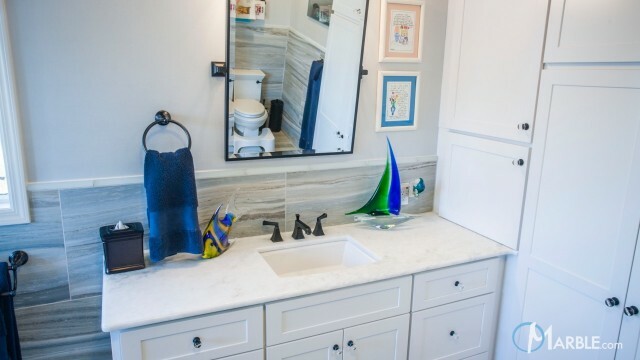 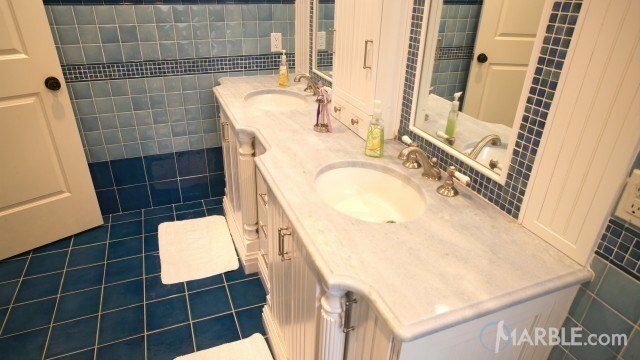 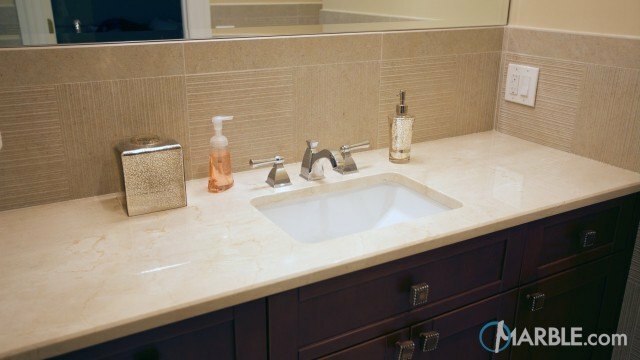 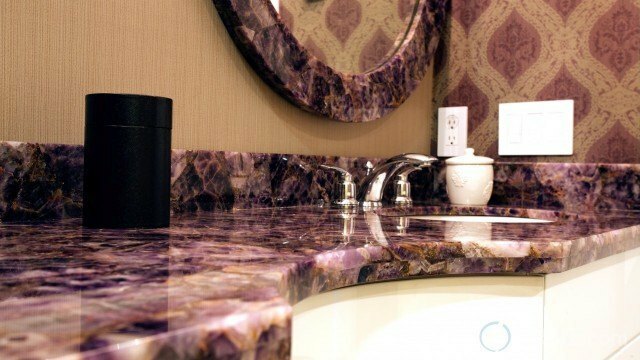 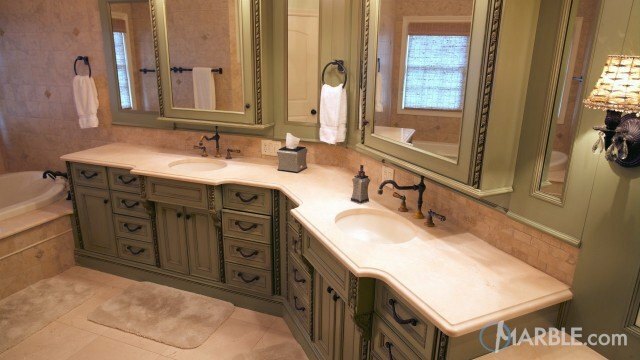 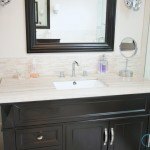 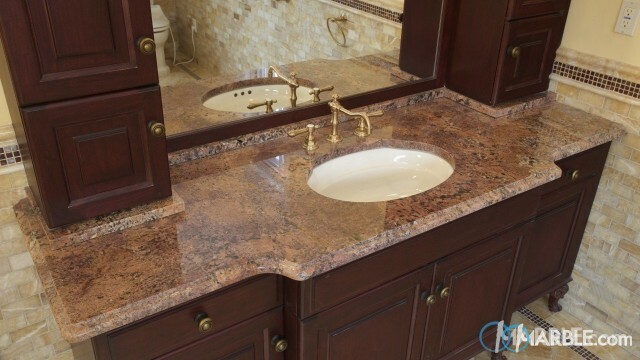 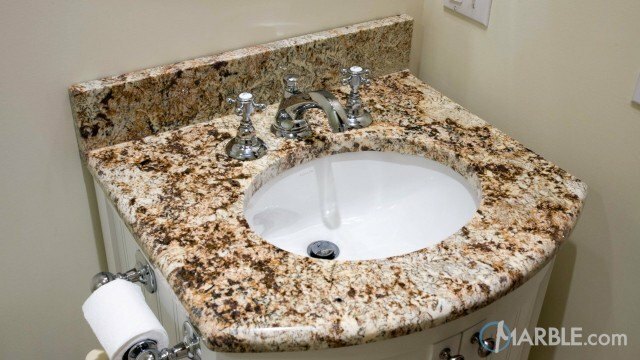 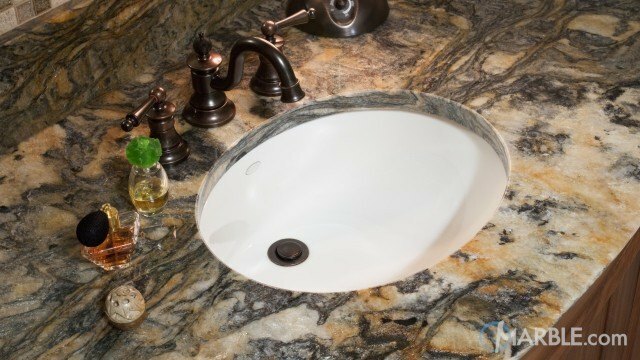 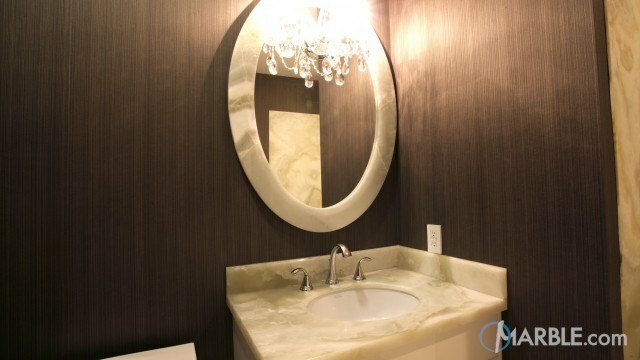 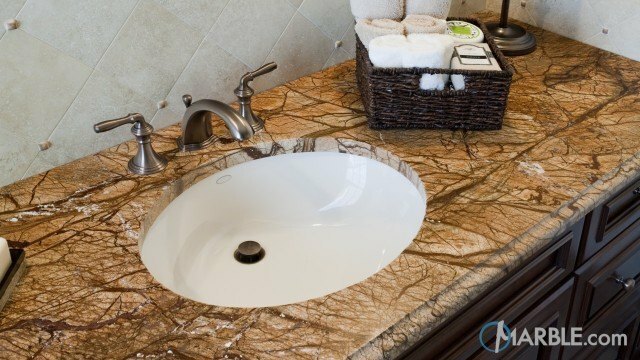 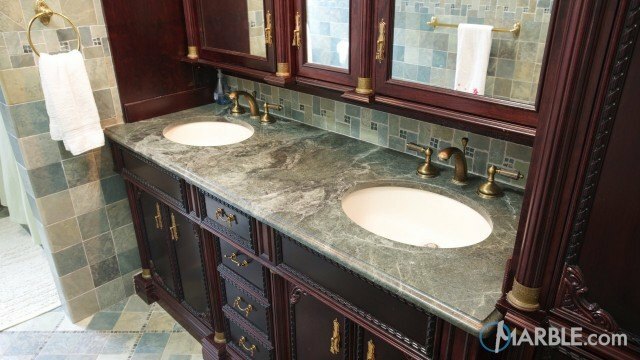 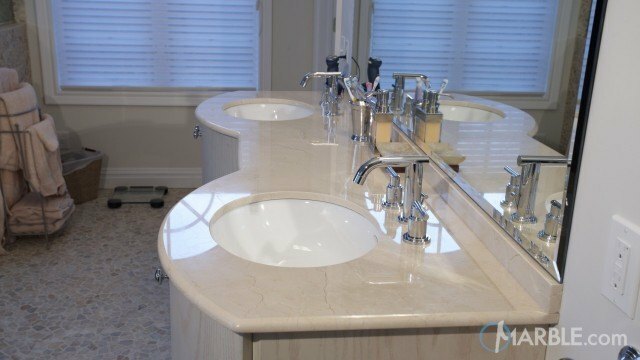 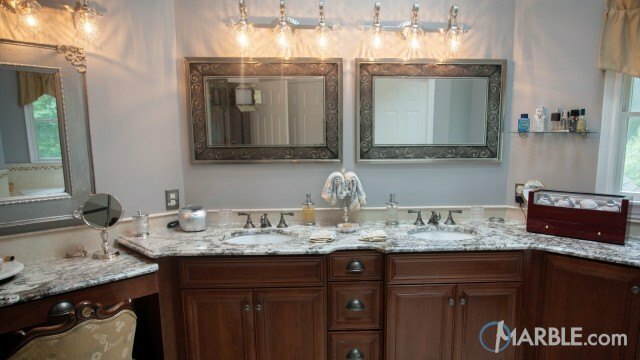 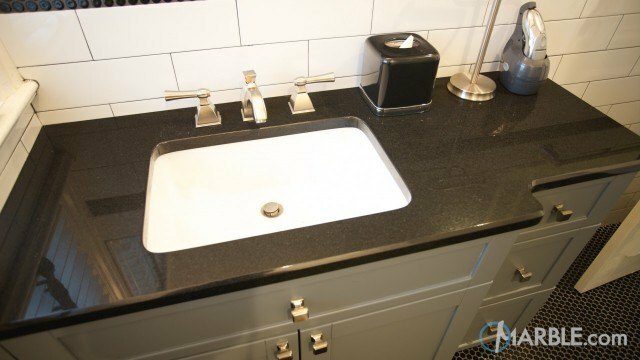 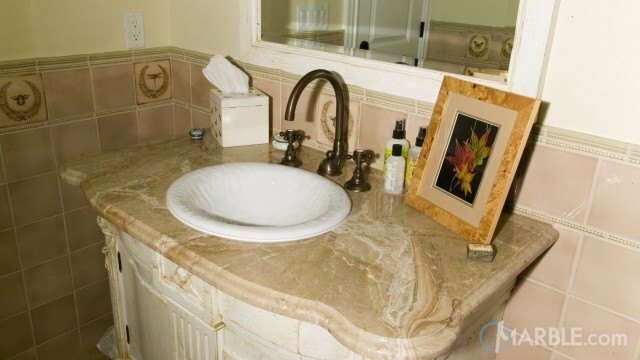 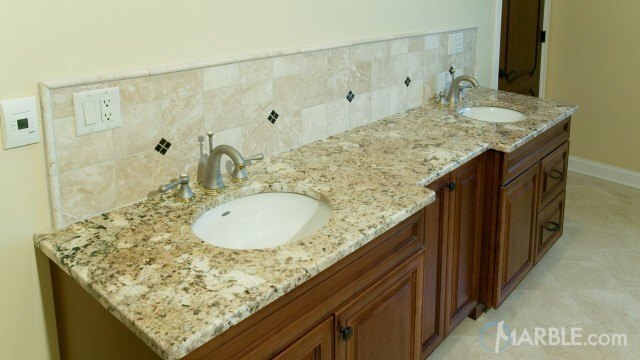 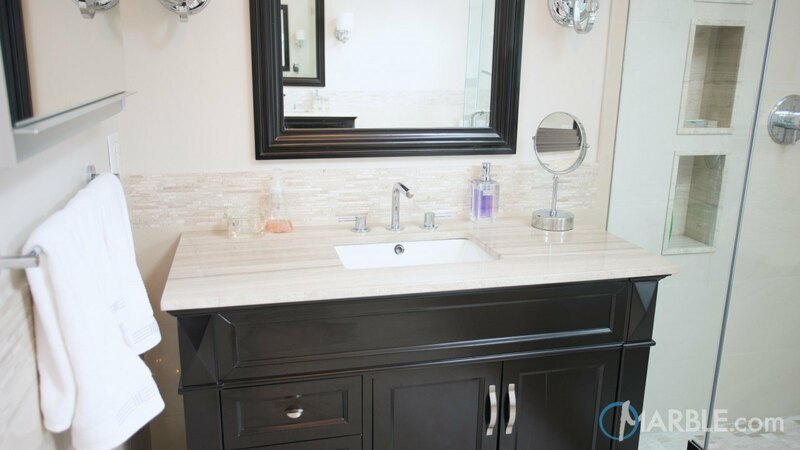 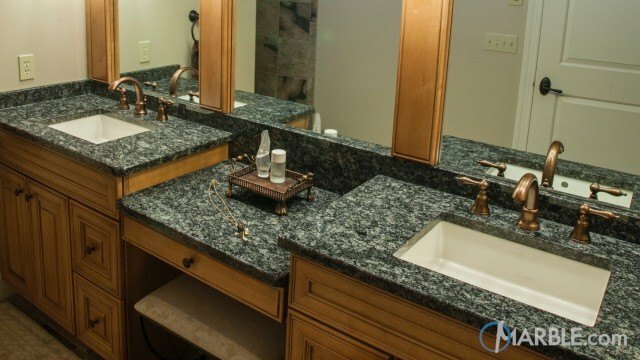 Silver Travertine counter tops with a straight edge top the bathroom vanity. 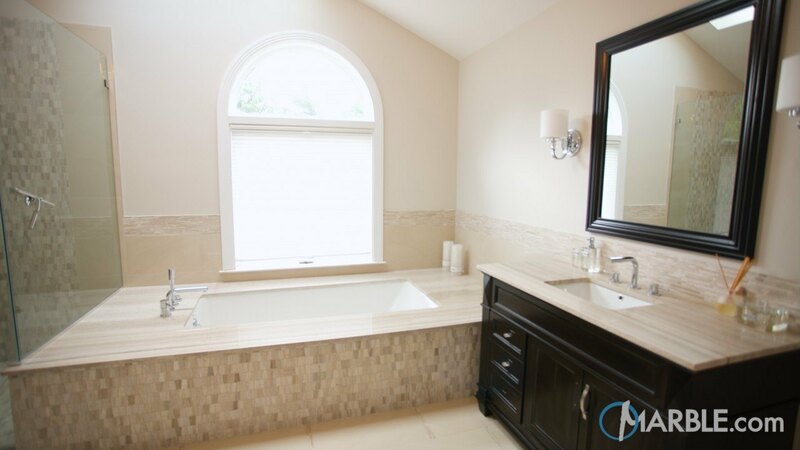 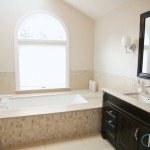 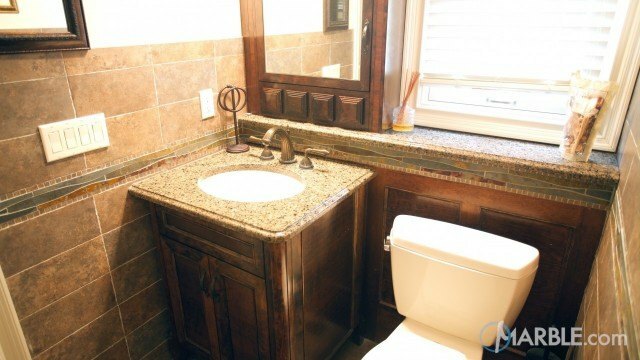 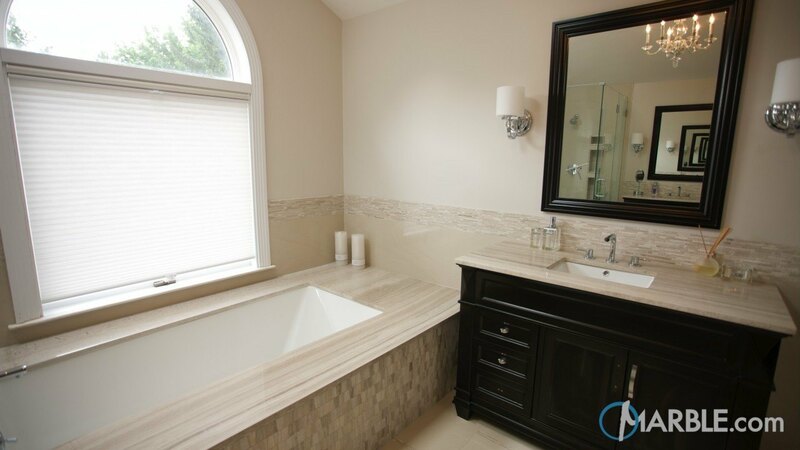 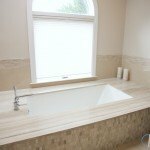 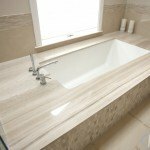 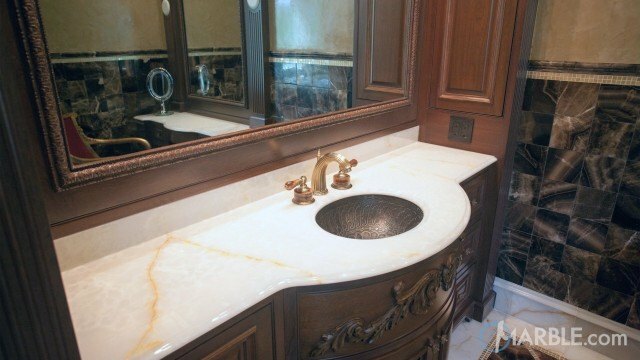 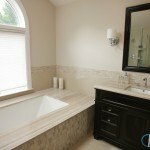 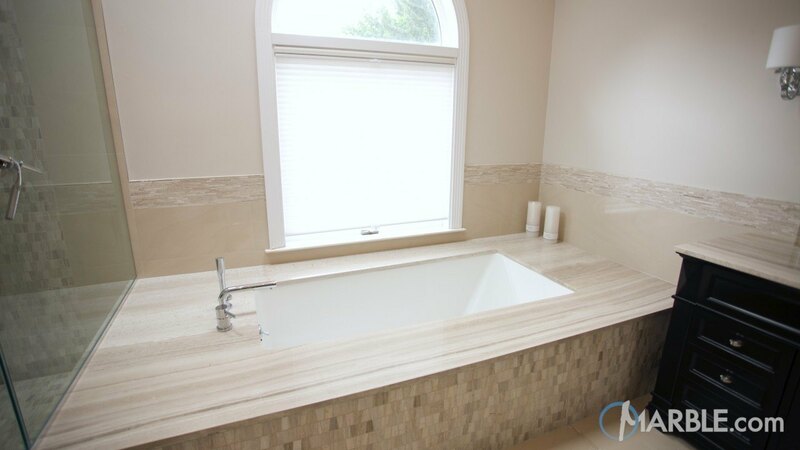 The Travertine is also fixed to the wall to make this bathroom easy to clean. 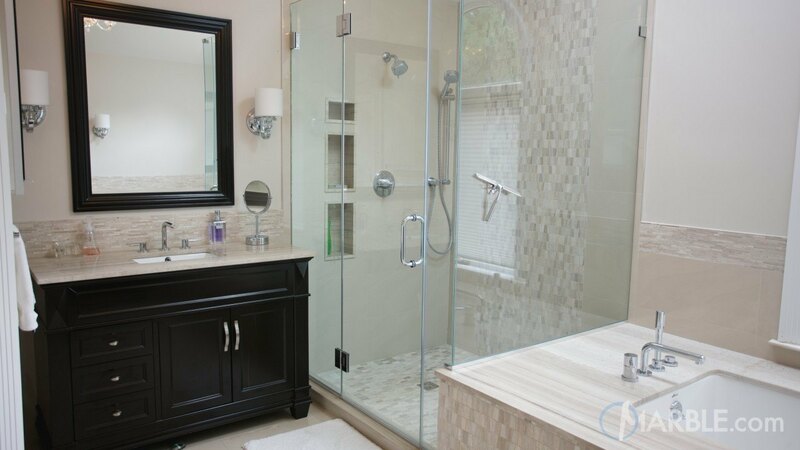 The shower features built in shelves with matching Travertine that accents the chrome sconce lights and black framed mirror.